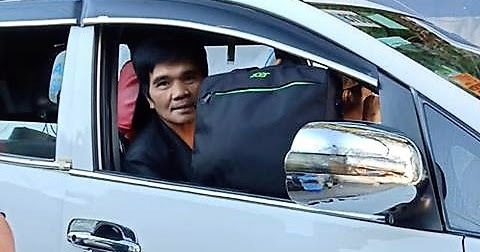 There have been countless of stories we heard about honest cab drivers around Baguio with regards to returning valuable items left inside their taxi. Here is another true experience shared by Xania Gerardo on Facebook. She posted that her friend who lost her iPhone and Laptop was able to claim them after they were returned by the honest cab driver. “Kuya Cleto of Kian Jay Taxi returned the Laptop and iPhone of my friend Krista this morning, November 10, 2018,” Gerardo wrote in her FB account. She is hoping that Mr. Cleto will be recognized by the city government for his exemplary deed because he is an excellent model to follow by all PUV drivers. “Such manifestation of a Good Deed is worth emulating. Hope the City Government will recognize this Honest and Loving Father and Husband of our Beloved City. The pride of Baguio – Honest Taxi Drivers. Naway Pagpalain pa po Kau at Mabuhay po kaung Lahat,” she added. Taxi drivers in Baguio are known to be honest and trustworthy. Many of them are now making rounds of appreciation on social media for returning items accidentally left by passengers inside their car. Some of them even go the distance and make an extra effort to locate the owner as much as they can do because they knew these lost properties are important to the owner. Sharing stories of this kind of good deeds by Baguio cab drivers on social media is a good thing. Recognizing and appreciating them will motivate others to do the same.